Mr. Wolfgang knows more about Shanghai, and China in general, than most of the expats I've ever met -- so well that he has many "secrets" which he could only share "off the record". I even cut many parts of the "on the record" version, but it doesn't affect the extraordinary points made in Wolfgang's answers. 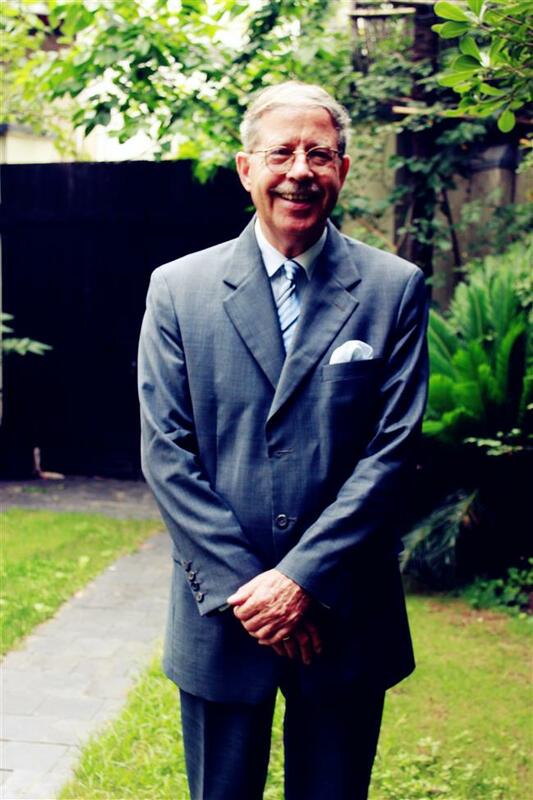 Having been the Consul General of the Federal Republic of Germany in Shanghai for two terms -- almost ten years -- Mr. Wolfgang became one of the longest serving German Consuls General here and has won much applause. It's still the role he's most well-known for, even now, three years after his post ended. I could tell that being a Consul General has given Wolfgang a lot of happy and satisfying moments and memories which are very precious. 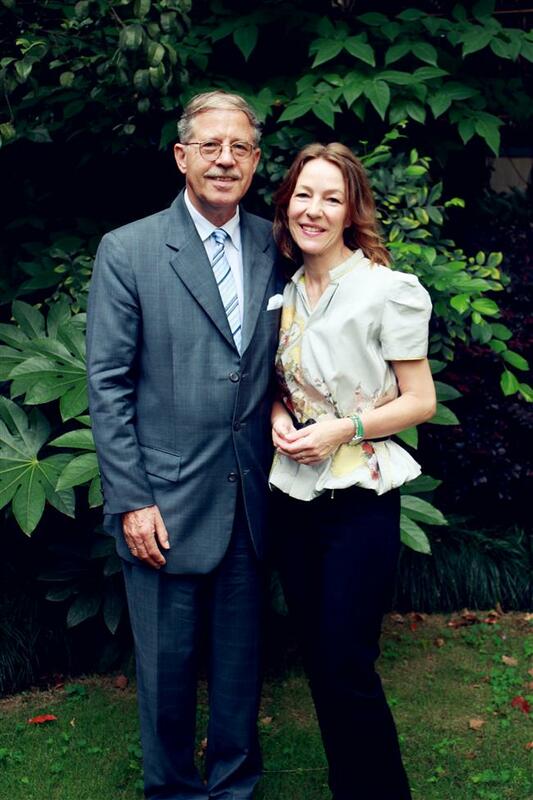 Together with Silvia, his wife who is still a Science Officer for the Consulate General, Mr. Wolfgang chose to continue living here after finishing his last term. Of course, Mr. Wolfgang is a good speaker. Listening to him talking is very enjoyable for me. With his soft-yet-powerful voice, he can make an interesting story absolutely enthralling. He is also a good interviewee, at times taking that role from me, arousing my curiosity even more and leaving me content just listening. Holin: Hi Wolfgang, you have been here for such a long time. I'm pretty sure you have many impressive stories from Shanghai. Could you share one of the most impressive ones? Wolfgang: The most impressive story was probably what happened immediately after I arrived as Consul General for the first time, in 2002. That was the ride, with the Federal Chancellor Schroeder and Minister President Zhu Rongji, in the maglev (magnetic levitation train) from Pudong Airport. The ride was something as it should be: the best of German technology, which we in Germany do not use, brought to China. And it was the best of Chinese technology, because Commander Wu, who is the gentleman who built Pudong Airport and who built the track for the maglev, built that track in 21 months, from zero to a ride at 400km per hour. I did not believe that he would be able to do it, but he did. That was one of the instances I liked most, in my time here as Consul General. Holin: How do you spend your weekends in Shanghai? Wolfgang: I like to go for walks; I like to read; I like to sit outside in our little garden here and read. There are quite a number of mosquitos but they do not sting me, because I am one of those people who do not get stung by mosquitos. What we do far too little of, unfortunately, is to go out on the weekend, but then again weekends are usually short. Two weeks ago we went to Nanjing, you get to see something else and get new impressions. You feel that Nanjing is a little slower than Shanghai, everything is a little bit slower to here. Another trip we did not too long ago was to Putuo Shan (Putuo Mountain), so we liked that a lot. It's a bit of a hassle to get there, but it's worthwhile. Holin: Which place in Shanghai do you like best and why? Wolfgang: There again, first thing is 'it's a secret, we don't usually mention it'. Then again, now you can't go any longer. Should I mention it? I'll tell you off the record. Now my favorite place is the West Bund, and there is a new photography museum (Shanghai Center of Photography) and a little cluster of galleries. We like that, because there is water; there is a whiff of fresh air; and it's a place where families and people go to fly their kites, play their musical instruments, people walk their dogs, so it's fun. People let their dogs play together; you can eat an ice cream. It's nice. We like that and we commend the city government because they do this, and it costs a lot of money but they do it for the people, which is very good. Holin: Which road do you like best? Wolfgang: Of course, Yongfu Road, the Road of Eternal Happiness. It's so nice because it's such a short road, you can't get lost and it has our chancellery and residence which Silvia and I renovated in 2002 and 2003. It has another cluster of restaurants there that are quite nice. Holin: What do you absolutely love about Shanghai? Wolfgang: What I like about it is the easy-going spirit, and that is, for me, shown by a small incident. We had a German delegation, and when the Bishop of the Catholic church in Xujiahui was still alive, he spoke fluent German. So German delegations, including Angela Merkel, would go and visit him. We had one delegation, with a politician who would meet the Bishop in his office. There was still a little time to go, so we would go into the church and look around without the Bishop. The delegation walked in accompanied by a priest who spoke Chinese, but the German guest just spoke German. He was accompanied by an interpreter from the Chinese city delegation, who was surely a member of the Communist Party. So now we were in church and there was a priest explaining in Chinese to a member of the Communist Party all about the church, who then translated for us. So that's what I mean, very easy-going! That's the Shanghai spirit! Not too ideological, practical, getting the job done. Holin: On the opposite end of the scale, what do you hate? Wolfgang: One thing has already much improved. In the last Shanghai Daily contest I wrote a little story about the Shanghai taxi driver, and I said they always tell me to fasten my seatbelt when I sit in the back seat but where is the seatbelt? At the end of the story I said, "The wise people's government will make a new rule so that Shanghai's taxi drivers will have to get out their seatbelts in the back". They did! They made a new rule for cars and taxis, now they have seatbelts! I always like to say it was because of my story, but my wife says she's not so sure. But a large improvement is still needed in street traffic. We visited a neighboring country a little while ago where people, particularly in street traffic, are enormously polite -- they will stop and wait and look and then they will drive on. If there is a pedestrian crossing they will always stop and you can cross safely. It (traffic improvements) can be done, and it should also be the case in Shanghai. There is a long history, since Confucius, of behaving well and being wise and being polite and being courteous. China is only one step away from having reasonable traffic and it should take that step. Also, there should be no jay walking if the traffic light is red. It's not really very difficult, and I think the rules should be enforced. The same is true for the subway. The subway, which I use a lot, is often full, which is great, but when you want to go to the door, there's somebody in front of you. I always say "dui bu qi (excuse me)" and usually they step aside. But I very often see people just shoving. That's not the spirit of Confucius. Holin: Compared to your country, are there any shortages in Shanghai? Wolfgang: That's the one, the major one (traffic problems). Because it really is dangerous. It's not a minor thing, it's a major thing that should be changed. Holin: But how can we improve this aside from laws? Wolfgang: Awareness! There should be programs on TV, we had such programs in Germany a long time ago. Holin: Any impressive memory from your life? Wolfgang: There are so many! In 2003, we had the visit of our Federal President, here in Shanghai, and he was supposed to go to Nanjing to receive an honorary doctorate from Nanjing University. 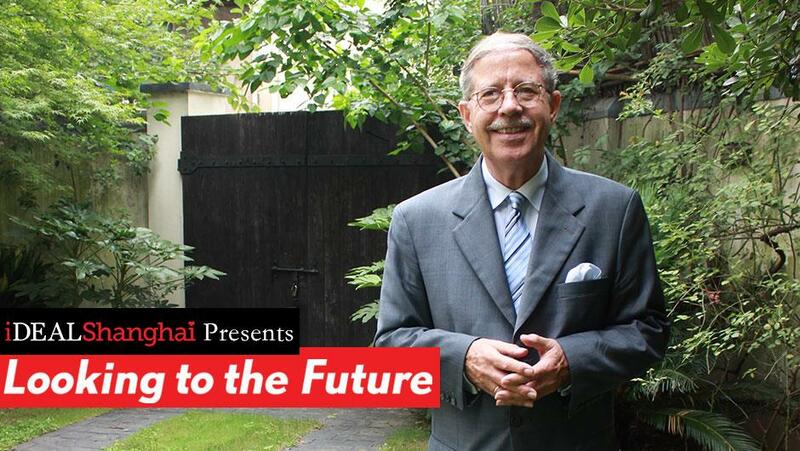 He was a day or so in Nanjing, and it's my task, as Consul General, to suggest a program -- what can he do in Nanjing. My wife knows Nanjing well, and I, we took our car and driver and went to Nanjing for a day or two to find out what a Federal President can do when he is in Nanjing. We thought he might go to the Nanjing Massacre Memorial. We looked at it, we thought this was something between China and another country, but when we went to the shop in the memorial we saw a couple of books and found that the house of John H. D. Rabe was still standing somewhere in the city center. Who is John H. D. Rabe (see the note below)? He was a German from my hometown, Hamburg, who came to Shanghai in the 1890s or so. Now it was 1937, Japan had attacked Shanghai and they were slowly moving up the Yangtze River towards Nanjing. A cable was sent telling him that maybe he should leave Nanjing. Now, John H. D. Rabe said he was for the workers; he was in favor or his Chinese workers in Nanjing. He decided to stay. Because it was 1937 and the war in Germany hadn't started so Brits and Americans and Germans were working together well. He got together a group of 14 people from various European countries and he said, "We have to stop the Japanese killing people". That was quite a task! He had the advantage of being a German, and Germany as you know was in league with Japan. So, he went to the Japanese generals and said, "We will have an area in town which will be a safe area, so your soldiers don't come in and they will be protected, the civilians won't be harmed. We won't even let soldiers in." He created a safety zone in the heart of Nanjing and his house was right in the middle, and he housed 600 refugees alone in his house. (Files say Rabe opened up his properties to help more than 650 refugees.) It worked in a rather good way, the civilians in the area remained mainly unharmed and the Japanese soldiers mostly stayed away. After the Röhrs' effort, John Heinrich Detlev Rabe's former residence in Nanjing was renovated and opened to the public in 2006. My wife and I believed that this guy was a good guy, and if his house was still there it needed protection, and so we found it. It was old and dilapidated, and a sign that said 'don't enter'. The whole place was in shambles but it existed. So, we quietly started to spread the idea that one should make a memorial, and perhaps a center for peace and reconciliation out of it. We talked to the Federal President, we did not include the building in his program because it was too run down and there wasn't really anything to see. The Federal President honored this guy because a company placed a sculpture there, and that was important because, like that, he was accepted. Now, when you go to Nanjing, the house is open and there's a memorial there, and there's also a little bit of a center of peace and reconciliation going on. That was something of lasting importance, which is rare that you get to do as a Consul General. This is something which you can see and you can visit. What does Wolfgang want to say to his future self? Have a look! Mr. Wolfgang is sending a message to his future self to watch ten years from now! Filmed by Holin Wang and Joan Zheng. Edited by Zhong Youyang. Special thanks to Andy Boreham. Note: John Heinrich Detlev Rabe was a German businessman who is best known for his efforts to stop the atrocities of the Japanese army during the Nanking Occupation and his work to protect and help Chinese civilians during the event. He helped to establish the Nanking Safety Zone and sheltered approximately 200,000 Chinese people from slaughter during the massacre. Rabe left a diary which documented Japanese atrocities committed during the assault upon and occupation of the city. He died of a stroke on January 5, 1950. 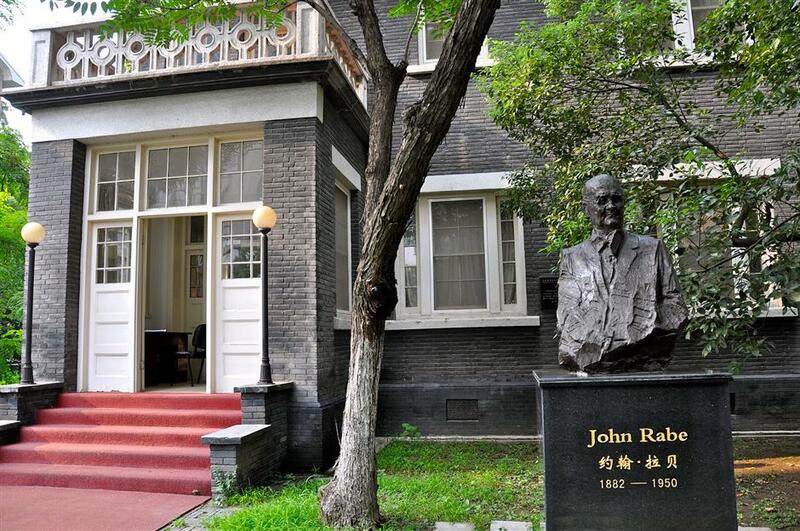 In 2005, Rabe's former residence in Nanking was renovated and now accommodates the "John Rabe and International Safety Zone Memorial Hall", which opened in 2006. The residence is located in Gulou District of Nanjing, near Gulou campus of Nanjing University.